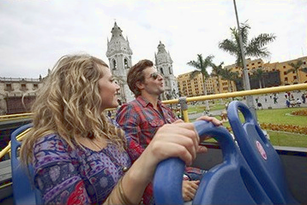 "The best way to know Lima and its History". 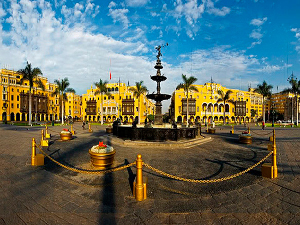 ​We will start with pick up from your Hotel to begin our Turibus Lima City Tour (doble deck bus), which will take us through the district of Miraflores with a brief stop outside the Huaca Pucllana and we will continue towards its imposing Historical Center where we will know its most representative attractions such as the Palace of Justice, San Martin Square, Plaza Mayor, Lima Cathedral, Government Palace, Municipal Palace, Station of the Desamparados, among others; We will also visit the San Francisco Convent and its catacombs. Then we will return to Larcomar where you will have a free time to have lunch inside the Shopping Center that has a great variety of restaurants. 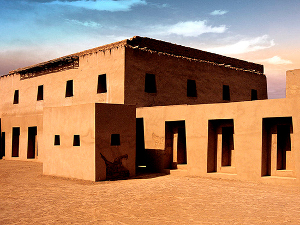 Then we will meet again where we will depart from Larcomar on a traditional tourist bus to the south of Lima to visit the citadel of Pachacamac, where we will visit its temples and ceremonial pyramids, as well as the Pachacamac Museum. Finally, we will return to your hotel. Includes: Guided tour of the citadel of Pachacamac and its site museum / Free time to have lunch in Larcomar / Tour of the Historic Center of Lima / guided visit to the catacombs of the Convent of San Francisco / Professional Guide. ¡Book now and secure your seats!